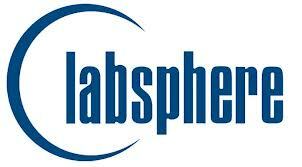 Labsphere is an internationally recognized photonics company located in central New Hampshire. Labsphere designs, produces and sells precision standard and custom radiometric and photometric products addressing the specific needs of the aerospace, automotive, electronic imaging, laser diode, LED, lighting, medical imaging and optics industries. We offer a broad line of integrating spheres, light measurement systems and instruments, diffuse reflectance materials and standards and superior optical calibration services. We specialize in custom design and OEM production services to provide integrated solutions for customer’s specific light measurement requirements. Thousands of systems having been designed, tested and calibrated at Labsphere’s 80,000 square foot facility located in North Sutton, New Hampshire, USA. Our diverse customer base and a solid understanding of their unique requirements have allowed our company to continue to evolve over the decades. Please go to Labsphere website for further information.